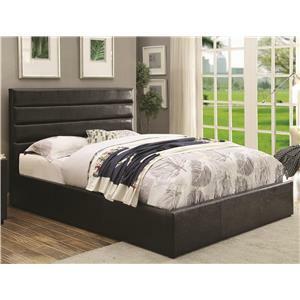 Comfy and stylish, this upholstered bed finished in a bright black will add a contemporary flair to your bedroom. 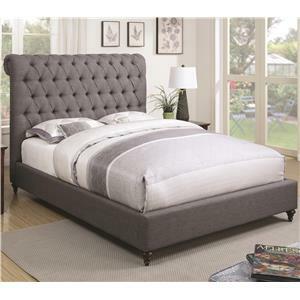 Featuring an arched base and high headboard your master retreat will be a place of true rest and relaxation. Chrome metal legs add the perfect finishing touch. 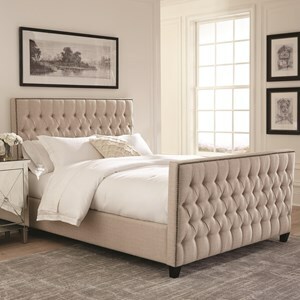 The 8272 Arched Queen Bed with Channel Tufted Headboard by Global Furniture at Value City Furniture in the New Jersey, NJ, Staten Island, Hoboken area. Product availability may vary. Contact us for the most current availability on this product. 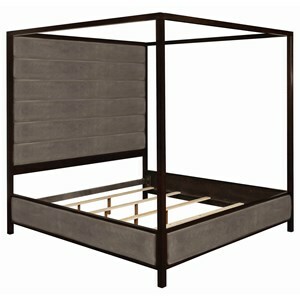 Browse other items in the 8272 collection from Value City Furniture in the New Jersey, NJ, Staten Island, Hoboken area.